If you're a Windows Phone user and you're eager to upgrade to Windows Phone 10 when it launches later this year, you'll enjoy this news. Microsoft will preview the mobile Office Suite for Windows 10 by the end of April. Today's glimpses of the upcoming mobile Office suite reveal a new interface designed for bottom-of-the-screen navigation better suited for thumb clicks and drags. Additionally, a new Reading mode for Word allows you to tap a document in order to have it fit entirely onto your device's screen. This enables you to see an entire document without having to scroll between "pages." Microsoft has also revealed that the Office apps aren't built directly into Windows 10, but will be preinstalled on new Windows phones after the operating system goes live. This will enable Microsoft to update the software without having to completely overhaul the entire Windows 10 system. Microsoft previously set a summer launch window for the Windows 10 desktop and mobile OS. In February, Windows Phone users who'd enrolled in the Windows Insider program were eligible for a technical preview of the mobile build, which Microsoft said would be consistent across smartphones, tablets, PCs, laptops, Internet of Things devices, and on the Xbox. However, Microsoft promised to deliver a touch-focused Office Universal app designed specifically for smartphones and tablets, similar to mobile versions of Office available for Android and iOS devices. Windows Phone 8.1 users are eligible for a free upgrade to the mobile Windows 10 OS once it goes live. 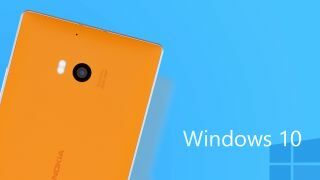 However, Microsoft pulled a build of Windows 10 Technical Preview for low-end Lumia 520, 525, and 526 phones after users said their phones stopped working after installation, so it's obvious Windows 10 for phones isn't finalized just yet.